WASHINGTON, D.C.–Independent beer distributors representing all 50 states are in Washington, D.C., this week for the National Beer Wholesalers Association’s (NBWA) 2018 Legislative Conference. Attendees are educating Congress on the importance of the independent beer system, which generates competition, builds brands and increases consumer choice, while supporting good-paying jobs and economic growth in cities and states across America. Of the nearly 700 attendees, about 150 are members of the Next Generation Group. “This is the future of the beer distribution industry, and this makes me excited about coming to work every day, and encouraged about what tomorrow will bring for our family businesses,” added Matesich. NBWA President and CEO Craig Purser said this year’s Legislative Conference gives beer distributors an opportunity to discuss policies and ideas on a wide range of topics including effective alcohol regulation, the future of the beer distribution industry and the overall health of the beer category. Purser also moderated an industry panel featuring Beer Institute President and CEO Jim McGreevy; Brewers Association CEO Bob Pease; and Brandy Rand of IWSR. The group discussed ways that the industry can advance the beer category. Additionally, the legalization and regulation of marijuana were discussed. Dr. Jonathan Caulkins, a professor at Carnegie Mellon University, highlighted research about marijuana usage in states and countries that have legalized marijuana. Sen. Cory Gardner (Colo.), Rep. Debbie Dingell, (Mich.) and CNN Commentator Paul Begala addressed attendees. The conference will continue on Wednesday with House Majority Leader Kevin McCarthy (Calif.) scheduled to speak. 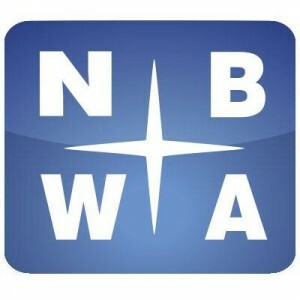 The National Beer Wholesalers Association (NBWA) represents America’s 3,000 independent beer distributors with operations in every state, congressional district and media market across the country. Licensed at the federal and state levels, beer distributors get bottles, cans, cases and kegs from a brewer or importer to stores, restaurants and other licensed retail accounts through a transparent and accountable regulatory system. Distributors build brands of all sizes — from familiar domestic beers to new startup labels and imports from around the world – and generate enormous consumer choice while supporting 135,000 quality jobs in their home communities. Beer distributors work locally to keep communities safe by sponsoring programs to promote responsible consumption, combat drunk driving and work to eliminate underage drinking.